God wants us to be prepared to do good works. Thankfully he gave us the Scriptures. Today we have the Bible translated into many different languages, dialects, and versions. Rather than a threat, this is a great blessing. 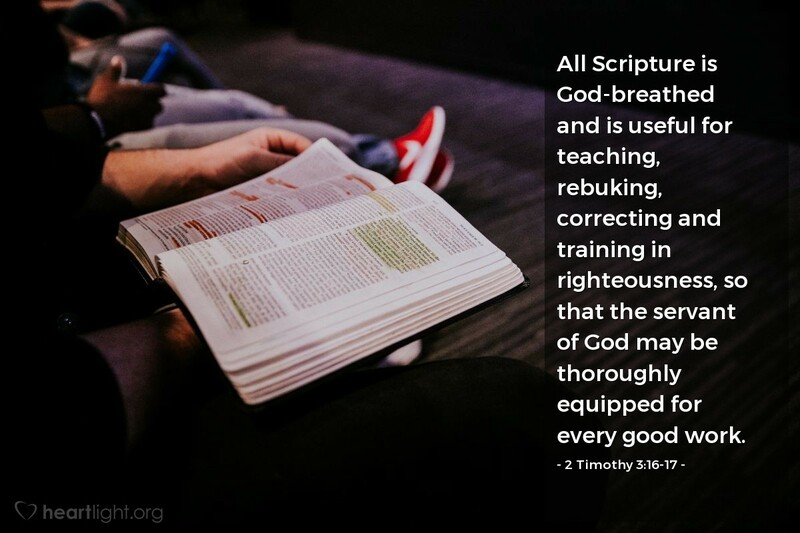 But we must remember that the goal of Scripture is not to be learned but to be lived. God intended his Word to be practical truth — a gift that prepares us to do every good work. Holy God, it still amazes me that you chose to speak to us, your finite creatures, in our own words. May I never take for granted the great gift of being able to read your Word and learn your Truth. But Father, please give me the character and the courage to put it into practical use and let it train me to do your will. In Jesus’ name I pray. Amen.